"All livestock are raised outdoors with continuous and unrestricted daytime access to paddocks that are suitable for grazing and are provided with shade and shelter. All animals must use the paddocks each day unless; they choose to shelter because of inclement weather, short term confinement for veterinary treatment or when giving birth. Feed supplements are available to ensure all their nutritional needs are met. Animals are kept at a stocking intensity that will ensure forage is always available in a sustainably managed rotational grazing system." 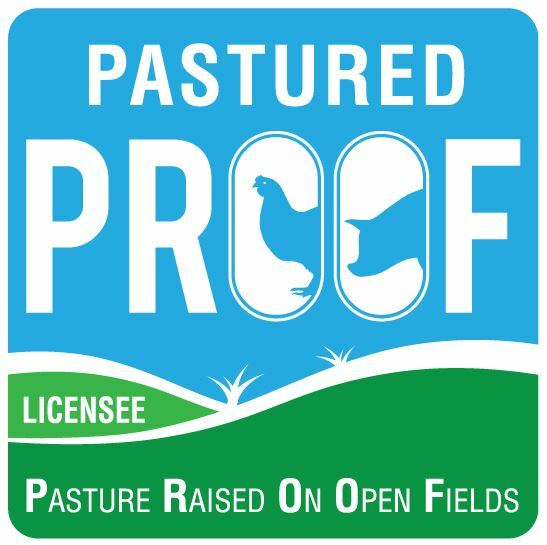 To become certified, a farm must commit to the PROOF Core Values and Standards. Before a farm can become certified, they must provide verification evidence that they comply with our standards and carry out a thorough self assessment in the form of an internal audit. Farms are re-appraised every year to ensure on going compliance with our standards. Transparency is important to us so all our Licensed farms are displayed on our website along with their contact details. A farm listing may also display different levels of commitment by the producer to animal welfare and the training they have undertaken. 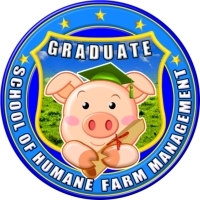 When you see the School of Humane Farm Management badge, you know that this farm has taken their responsibility to their animals very seriously.